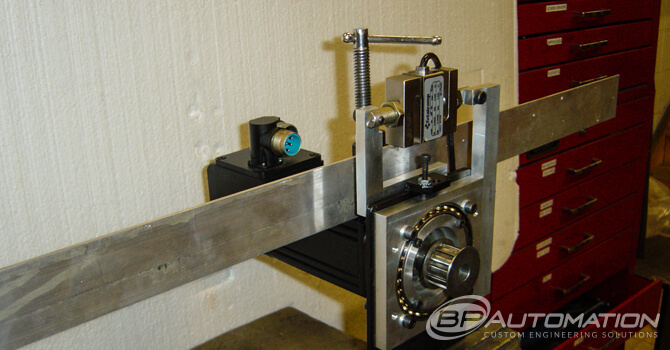 BP Automation is a proven leader in the analysis, design and manufacturing of custom machines and engineered solutions. We pride ourselves on tackling complex problems and offer the unique ability to tailor our services to the needs of each individual customer. We specialize in one-of-a-kind solutions, including custom manufacturing and repair, retrofit and maintenance work. We design and build specific mechanical hardware and electrical control systems for a wide range of customer applications. With a team of in-house experts, our leadership in the field of product research and prototype development ensures our customers know their product will work before investing in a full production run. 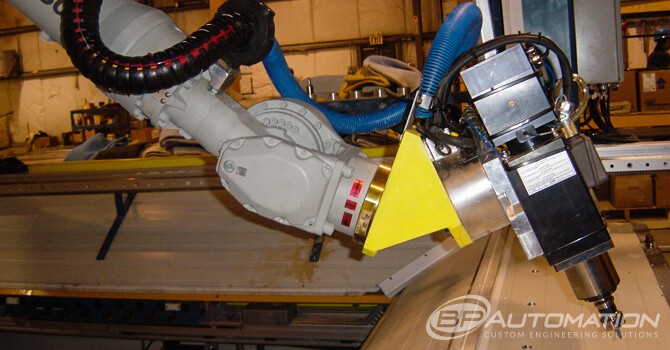 BP Automation is a leading manufacturing solution provider with a globally acknowledged reputation of expertise in custom machines and engineered solutions. Our work is to transform highly complex industrial manufacturing problems into highly productive automation systems tailored to the needs of individual clients. Our mission is to keep employing the latest technology to manufacture state-of-the-art engineering, manufacturing, and machining solutions. BP Automation is committed to achieving new standards of excellence in industrial automation and applications of artificial intelligence. Our core objective is to simplify and streamline production processes while contributing to consistent product quality and greater output. We stay updated with the latest technological advancements in automation industry and observe strict adherence to emerging technology standards in order to provide innovative, sustainable, and customized equipment to our clients. Quality is one of the prime features of our business that helps us achieve sustainable development. We strictly maintain quality throughout our systematic processes of developing custom automation solutions. We are committed to the highest professional and ethical conduct while taking safety and welfare of our stakeholders as a paramount value. Integrity is the foundation on which we build strong and long-lasting business relationships. With capabilities developed over the years, BP Automation is a leading manufacturer of industrial automation solutions, improving clients’ existing machines as well as developing custom engineering solutions to address complex problems. Being a leading mechanical engineering company in Canada, we have been providing customized automation solutions which include inspection and QC technology development, process control systems, robotic metal fabrication tools, prototyping, industrial software and hardware tools for clients who want to dramatically increase their production output. Changing from manual operations to automation will certainly help you increase output. 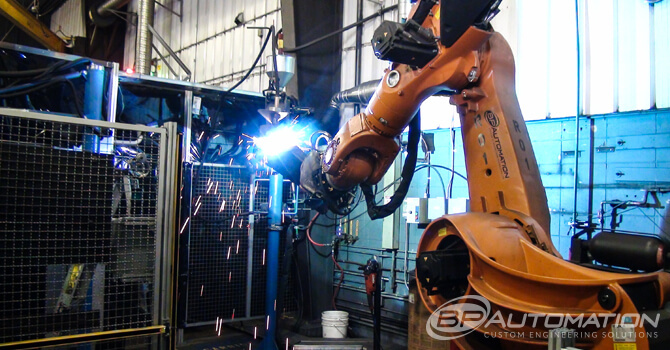 BP automation is a one-stop-shop for customers seeking customized and automated machining, welding, and fabrication solutions in Canada. We engineer automation tools that run more efficiently and enable industries to replace time-consuming manual operations. Our automated metal fabrication services include Manual Machining, Computer Numerical Control (CNC), Waterjet Cutting and Machine Assembly. 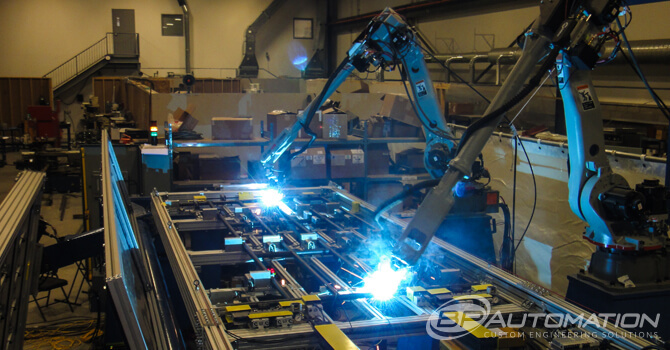 The objective is to streamline and automate metal fabrication processes which may include precision machining, automated cutting, welding, cladding, and milling. Prototyping, as an integral part of product development process, is used to demonstrate several aspects of a design; a process to take the design from conceptual realm to reality. BP Automation has extensive experience and resources to complete a product development processes from an idea to final product. 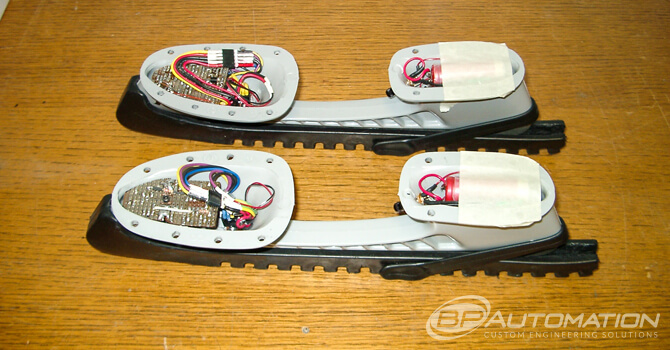 As a part of our prototyping services in Canada, we choose and develop strictly relevant prototypes that fits the specific needs of your business. Our team of highly talented in-house engineers and workers specialize in prototype engineering and development and can help you plan, design and manufacture the best automated system for your production needs. 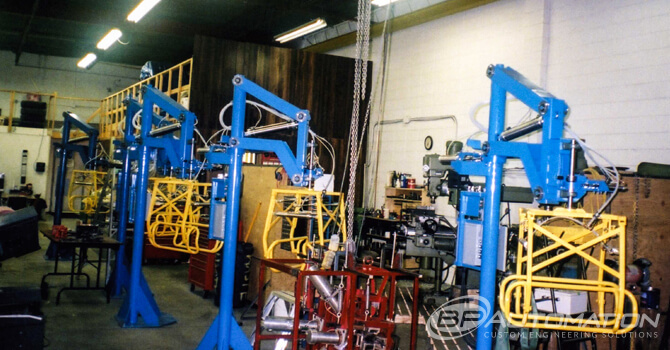 BP Automation is a proven leader in design and manufacturing of custom machines and engineered solutions that guarantee to enhance the efficiency of your production process. We take every project as an opportunity to deliver the best possible products and services from prototyping, design, and final product to installation and support. In order to achieve high operational efficiencies, our engineers manage projects within the given constraints. Our in-house engineers and technicians conduct a detailed analysis of clients’ existing manufacturing processes and then design and manufacture automation systems that are capable of producting significant results for their businesses. BP Automation conduct, develop, control, and monitor all of its production processes to ensure that a machine conforms to its specifications. Process control is an essential part of industries that use continuously operated processes in order to manufacture products in a very controlled and consistent manners. Our highly experienced in-house team develops production and process control systems for clients willing to increase the efficiency of their production units and maintain the product quality. We seek to launch revolutionary hardware and software tools for industries ready to embrace modern communication technologies and design patterns at the control level. Consistency and durable processes are essential when it comes to industrial automation. BP Automation designs sensor systems and electrical controls to help companies optimize production processes and make them as effective as possible. As the leading engineering services provider in Canada, we offer innovative expertise in sensor and electronics integration. BP Automation has been providing futuristic automation solutions to industries which need to improve their production processes and operational efficiencies in order to meet fast-growing demand. Measurement and instrumentation are the art of controlling process variables within a manufacturing facility. BP Automation has been providing control engineering solutions that help industries discipline their production operations with the help of control systems and intelligent sensors. Our measurement and instrumentation solutions help clients maintain the quality standards while reducing the involvement of manpower. 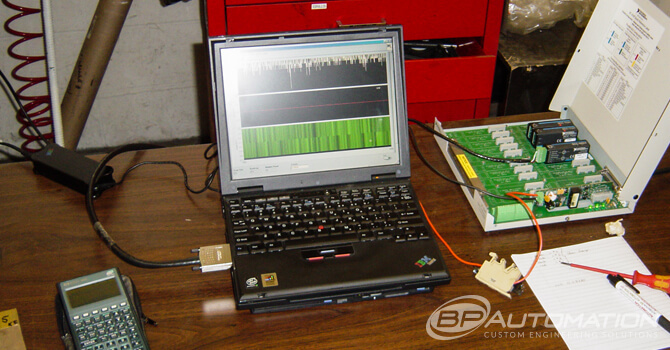 From design to installation, we provide complete technical support to our customers. 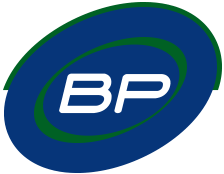 A highly focused team of engineers at Bp Automation is ready to streamline your production processes. Advancements in technologies and safety standards have made manufacturing safety an effective tool to improve production efficiencies. 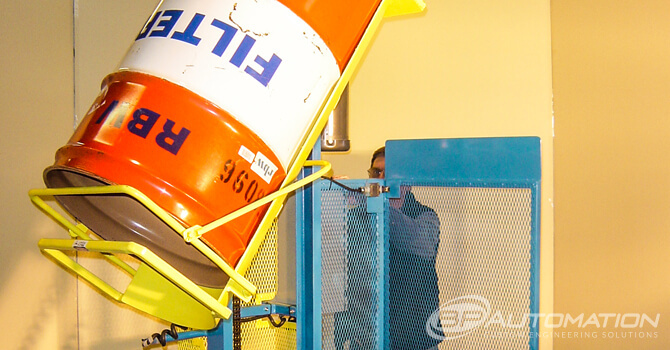 We manufacture automation tools while strictly implementing the industrial safety standards to reduce injuries and improve risk management. BP Automation specializes in providing automation tools, both hardware and software, that ensure the safety of your employees without compromising productivity. We are here to streamline your industrial processes through cost-effective and safe automation and control systems.